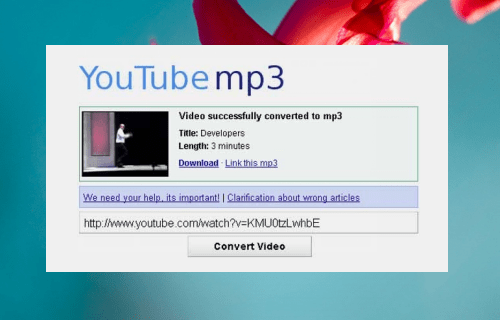 How can you convert YouTube videos to MP3? 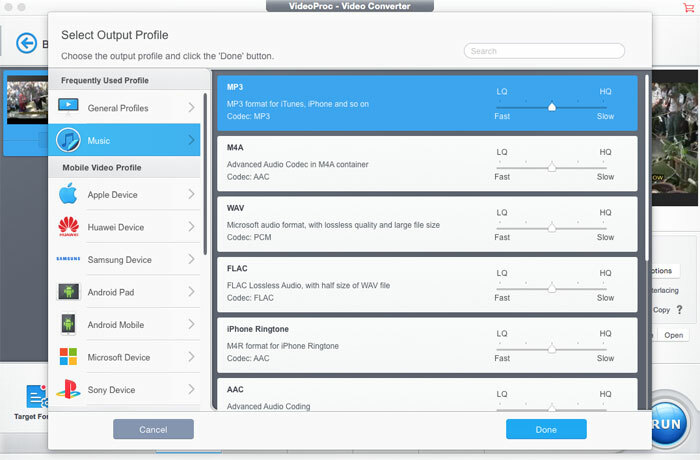 Here is a list of YouTube audio converter, allowing you to exract MP3, WAV, OGG, AAC etc. audio from YouTube videos so that you can build your music library without any charge. A: There are many reasons why you long for a YouTube audio converter, the most likely of which is that a great number of music videos like the hot Let It Go, Shakira's La La La are posted on YouTube and you want a way to extract the audio podcasts from YouTube so as to listen to them offline on your iPhone iPad without having to purchase those tracks or burn to a CD for entertainment while driving. But finding an ideal yet free YouTube music converter might take a very roundabout way, either they aren't free totally or come with functional reservation, ads, spyware or malware. Here we've complied the top 3 best YouTube audio extractor that have received the most stars from users as well as other useful YouTube music download and convert tips. This program supports more file formats than you can you can shake a stick at but comes with an intuitive interface you will never be confused. It's particularly useful as it bundles YouTube downloader, audio converter, video transcoder, slideshow makers, video recorder and editor into a single program, saving you from having to search around for several solutions when converting to other formats. You can easily download YouTube to audio MP3, AAC, AC3, MP4, AVI, MOV, WMV, etc, directly convert HD MKV, MTS, AVCHD, etc to iPhone, iPad, Android and other 420+ devices. The built-in video download engine, multi-core CPU and hyper-threading technology guarantee a fast YouTube audio conversion, up to 30 seconds when downloading a MV from YouTube. Developed by DVDVideoSoft, Free YouTube to MP3 converter can convert videos from YouTube to audio formats such as MP3 - in addition to the popular video formats like WMV and AVI. This free YouTube to MP3 audio converter boasts an intuitive interface that clearly queue up multiple videos and audios for conversion from YouTube. Whether you want to grab guitar backing tracks or download karaoke songs to burn to a CD in time for a weekend party, the 100% free YouTube music converter leaves the choice up to you. Cons: Constantly get "video download error" when downloading YouTube videos. As a free online YouTube video to MP3 converter, YouTube-mp3.org has been so far praised for its easiness while downloading YouTube music. You just copy and paste the URL of the YouTube videos into the blank box on the website and click Convert Video to start URL YouTube to MP3 audio downloading. It supports Mac, Windows and also Linux. Cons: YouTube's lawyers have sent cease-and-desist letters to the site according to TorrentFreak. That means the free ride of ripping YouTube music videos to MP3 through youtube-mp3.org may end and YouTube-MP3 not working issue may plague you if you using this service. If you need your video conversion tool to support the widest possible range of formats, Freemake video converter is another ideal choice besides MacX Video Converter Pro. Not only it can convert AVI, MP4, MPEG, WMV, 3GP, DVD, HD, MKV, MP3, WMA, FLAC formats and others, but also it acts as a free YouTube audio converter to get audio tracks from YouTube VEVO, so you can download MP3 music of highest quality possible. What's more, it comes with very handy presets for conversion jobs, letting you get videos ready for the trendy devices like iPad or Android-based devices. Cons: Audio playback is extremely choppy and generates some CPU usage. Besides, it is compatible with Windows platform only, for Mac users, finding a Freemake alternative is a must-have. From the above table, you can easily draw a conclusion that MacX Video Converter Pro is a comprehensive YouTube converter that not only supports converting YouTube videos to music MP3, AAC, AC3, OGG and other audio files but also convert them to a deluge of devices with fast sped. Even though it is not free, its versatile functional options are good enough that is definitely worth a download of the YouTube music downloader and converter. Below are the detailed steps on how to download YouTube video and convert to audio format with ease. This YouTube audio ripper keeps up-to-date with the latest YouTube changes and makes flawlessly compatible with the newest Mac and Windows platforms. 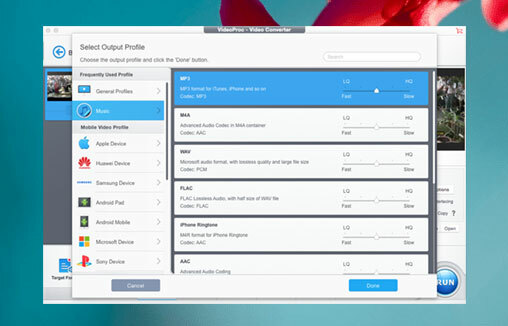 You can download MacX Video Converter Pro for your Mac computer and turn to the windows version for your PC platform. Step 1: Download 4K Video from Youtube. Click "Downloader" icon on the main interface. And copy and paste the URL of YouTube video to the type box. 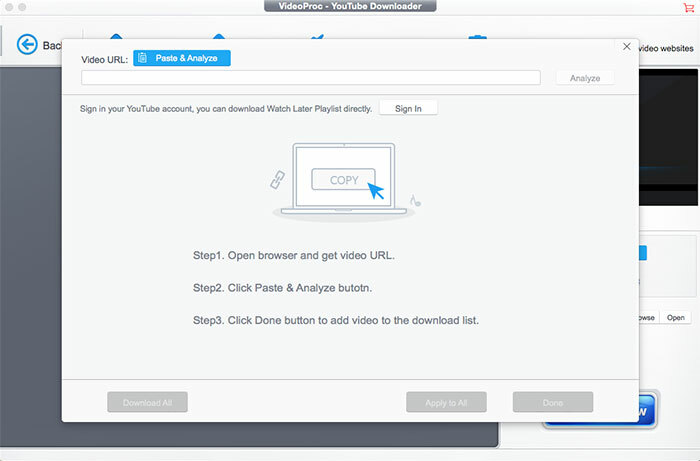 After you click "Download Now", the rest YouTube audio downloading job will be automatically done by this tool. Note: This YouTube to audio converter supports downloading 4K video to MP3 audio and other formats with high audio and video quality. Go "to Music" and simply choose the audio format you like from the drop-down window. Step 4: Press the "RUN" Button. After finishing the steps above, click "RUN" button to start to download and convert YouTube to Music format. Once you get the audio file saved on your computer, you can either import the audio into your media player for listening to while travelling or burn it to CD using a burning program for party entertainment. 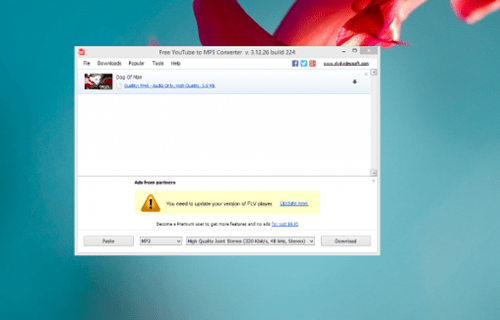 A Leading YouTube Audio Converter to Extract MP3 from YouTube Videos! 3 Is There Any Programs on Mac to Download MP3 from YouTube Easily?